"When we were kids, long journeys on cars turned into epic journeys to collections of rock music from the 80's and 90's," says Sarah Queen of the Canadian duo Tegan and Sara. "I still listen to some of these books." The group has three Juno Awards and eight albums, the most recent of which, "Love You to Death", was released in June 2016. Listen to the collection Tegan and Sara: road playlist in high quality, absolutely free. You can listen to the whole collection, or separately song by song. 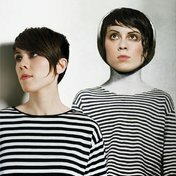 In addition to Tegan and Sara: road playlist of the collection, you can find any other one by following the link and get information with the already collected collections and collections of tracks, songs and music.